Adobe Photoshop CC is a design and imaging software that enables users to create and enhance images, illustrations, and 3D art. Design enthusiasts and professionals use it to edit videos, create websites, and mobile applications. In this review, we cover user reviews and pricing. Ready to try Adobe Photoshop CC? Get a free trial. Users who gave Adobe Photoshop CC a positive review like that it has plenty of tools to correct and enhance photos, videos, and art. Many of them appreciate its easy-to-use interface, ability to sync libraries, and seamless integration with other Adobe Creative Cloud apps. One user who gave Adobe Photoshop CC a positive review on PC Mag said that it is the best photo editing software in the market because of its rich set of typography and drawing tools. 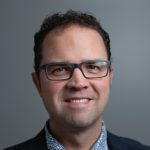 He also likes that it has features for designing, both on the web and on a mobile device, so he can continue working while on the go. 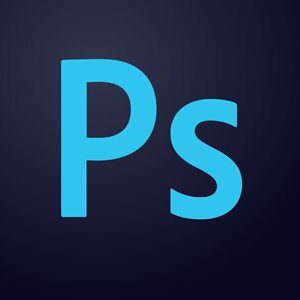 Users who gave Adobe Photoshop CC a negative review noted that its many features can be a bit overwhelming at first and that it takes a while to get accustomed to. Some of them also said that the software is a bit expensive and that they hope it would offer a perpetual license in the future. 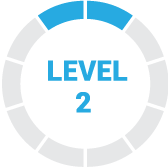 One user who gave Adobe Photoshop CC a negative review on G2 Crowd said that while he does not have any major issues with the software, he did have a hard time learning the ropes at the beginning because of its multiple features. He also noted that the high price might discourage people from signing up, though he added that it is very useful for design professionals. Adobe Photoshop CC offers four kinds of products: Individual (ranging from $9.99 to $82.98/month), Business (ranging from $33.99 to $79.99/month), Students and Teachers (starting at $19.99/month), and Schools and Universities (ranging from $14.99 to $34.99/user/month). The main difference between the products is the target user. All products have an annual contract that is paid on a monthly basis. They also have yearly pre-paid plans and per-month plans, depending on the product selected. You may visit their website or contact their sales team for more information. Ready to try out Adobe Photoshop CC? Get a free trial. Best Logo Design Software – Read our buyer’s guide for a comparison of the top three logo design software for small businesses. We compare Tailor Brands vs. Logo Garden vs. Withoomph to give you an idea which design software will work best for your business’ logo needs. Can I use Adobe Photoshop CC on more than one device? Yes. You may download and install Adobe Photoshop CC on multiple computers regardless of your operating system. However, activation is limited to only two machines per individual subscription. You may deactivate a Creative Cloud license on a device to open up access for another machine. Does Adobe Photoshop CC offer a free trial? Yes. You can download a trial version of Adobe Photoshop CC with a free Creative Cloud membership. Not sure if Adobe Photoshop CC is the right fit for you? Read our reviews of all top design software providers. They make production of photos easy for photographers and designers. Tools are easy to use and there are many. The tools are customizable and presets can be saved for future use. They also tie their products together well so photoshop works seamlessly with their other products. Implementing new features sometimes seem self-serving and not useful in real world. They should listen more to users and fix usage areas and bugs before adding new unneeded features. That they would change to subscription model instead of single purchase. Adobe pretty much owns the market for designers/creatives. While the interface can be pretty tricky to learn for new users, Photoshop has so much to offer. Over the last few years I think the company has improved its tools and customer service. There are a lot of troubleshooting resources available online. UPDATES. I’m hesitant to install major updates right away, because there are usually bugs associated with them. Since I’ve started waiting to install after major updates come out I’ve had less issues. Honestly there aren’t many other options when it comes to this type of software. Adobe’s pricing system leaves something to be desired. I love that Adobe has created the CC option for all of their products. It makes it so nice to work on multiple computers or devices. Photoshop is just a complex program. It’s amazing because you can do so much stuff on it. Because of that, it’s kind of tricky to learn. But tips for the program pop up every once in a while which can be helpful. How many tutorials there are online for using it! Extremely powerful applications that do exactly what they intend to do. Photoshop CC does an excellent job and removing blemishes from skin in portrait photos and allows us to remove glare from windows and even at times remove an object or a person from a real estate property photo when we don’t have the opportunity to go back to the property to reshoot. For example a colourful toy laying on a lawn in a backyard that we missed while shooting can really stand out and distract from the final photo, so we will remove it in photoshop. Products can be a little complicated at first glance. They attempt to make it easy by providing starter tutorials but I think these could be improved on. The con is that these tasks are not very user friendly and take lots of training and practice to master. So if you are not working in Photoshop for hours each day and are a more casual user, you may find it very challenging to carry out these tasks. We have resorted to following 3rd party online guides and YouTube videos to learn how to carry out tasks like removing objects from a picture. Ultimately we had to ago to a cloud based subscription as they have moved their business model this way. At first we didn’t really want to but now we are happy with it. 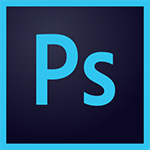 I’ve been devoted to Adobe photoshop since 2000 , I upgrade every year and just can not live without this software. It’s foundational to my graphics and photography development for my marketing company. They don’t make stupid simple software. It’s not plug and play, you need to be bold and have fun and try to mess things up. You’ll get lost and tear your hair out learning but it will expand your imagination and visualization skills. keep at it, take classes and dream bigger! I wish I had known about the on campus training and events they hold every year.